Maziya Hussain, the Group Brand Manager Decorative Paints at AkzoNobel Pakistan and the Lahore School alumni of 2004 visited the School on September 26, 2012 to give a talk to her juniors from BBA about B2B Marketing as part of the Alumni Guest Lecture Series. She explained the business to business processes and dealings at AkzoNobel. She talked about the basic Marketing techniques and also relived some of her memories from her days in the Lahore School. AIESEC – the world's largest student-run organization conducted an information and recruitment session at Lahore School of Economics on September 12, 2012, at the SBS Library. Muhammad Hussain Khalid, MBA student was selected for trainee-ship program at Globe Telecom, Philippines. Focused on providing a platform for youth leadership development, AIESEC offers young people the opportunity to be global citizens, to change the world, and to gain necessary experience and skills which will help them in the process of their career growth. The session also included a brief description of AIESEC and its various projects: Rise, My World My Choice and Pakistan Tum Hee Tou Ho. 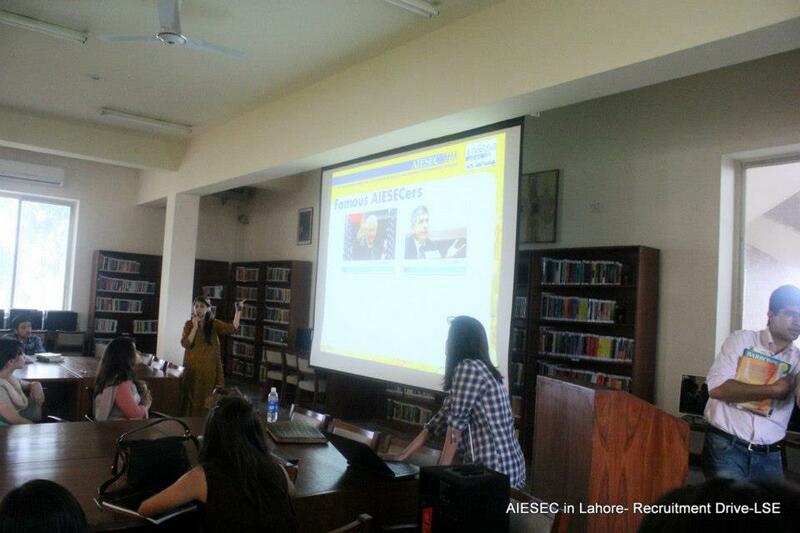 Every year Lahore School students go abroad through the AIESEC internship program. Rifah Qadri, the Senior Manager SCO (Corporate Business) at Metro, from the Lahore School's alumni association visited her alma mater on September 17, 2012 to give a talk to BBA students about B2B Marketing as part of the Alumni Guest Lecture Series. Her talk entailed all the nuts and bolts that make up B2B marketing, which deals with transactions between businesses. She differentiated B2B and B2C transactions and pointed out to the students that it is not the nature of the product but more so the nature of the transaction that makes it a B2B setting. 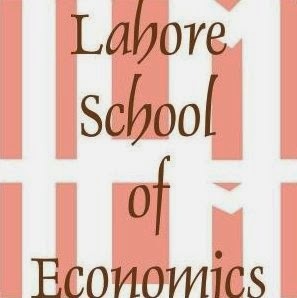 Rifah Qadri added a new insight to the students of Industrial Marketing, before they set out to the corporate sector after the next semester at the Lahore School of Economics. 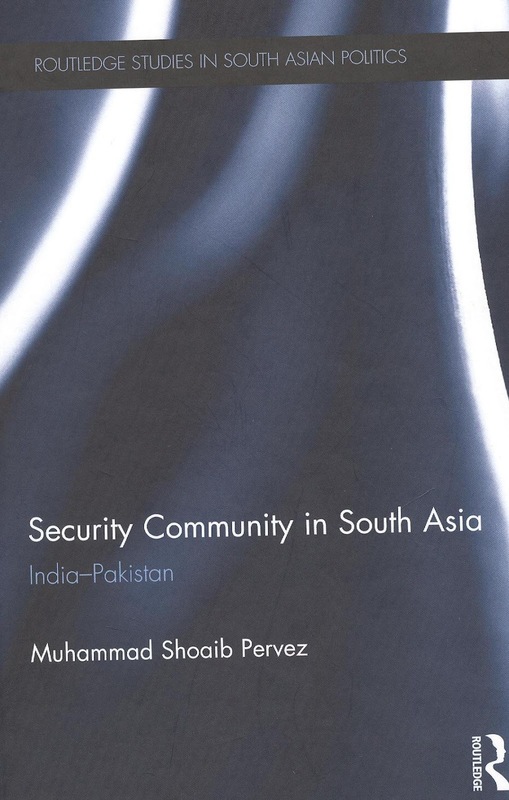 Dr. Muhammad Shoaib Pervez of Lahore School of Economics, who has done his PhD in International Relations from Leiden University, Netherlands, has written a book titled Security Community in South Asia: India-Pakistan [published by Routledge (London), August 2012]. This book explains the India-Pakistan rivalry from a very different perspective. The author's perspective is based on socio-cultural norms and a two level narrative (elite vs popular). It explains how the elites of two states have put hostage the aspirations of a billion plus people of these two states by denying them a chance to live peacefully. The book also highlights the presence of a unique normative structure found at the popular level, and looks at how the common people of both India and Pakistan share many socio-cultural norms. Based upon these norms he then conceptualizes a hypothetical security community between India-Pakistan. An interesting and valuable approach for analyzing these issues of security through the socio-cultural lens, this book is of interest to academics and scholars of South Asian politics, security studies and international relations.